Our dispatchers and drivers are experts in using ShaleApps. 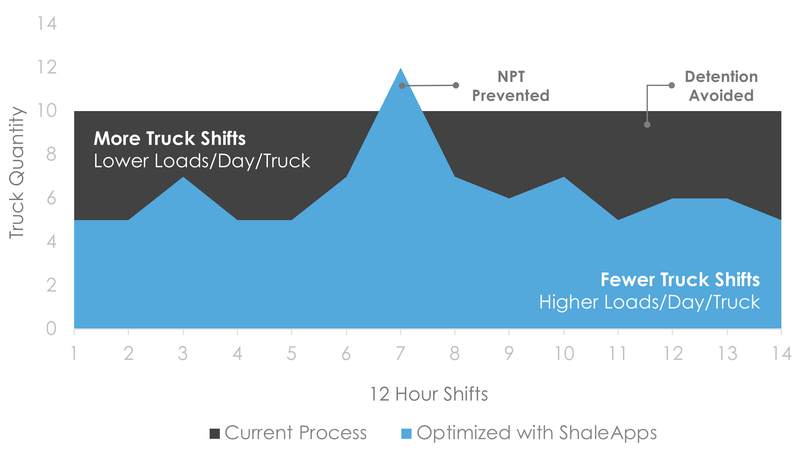 ShaleApps uses Artificial Intelligence to increase loads/day/truck. This allows us to reduce Sand NPT and Truck Detention for our customers – guaranteed. Last Mile Owners (LMOs) are stakeholders who take responsibility for sand NPT and trucking detention, like Oilfield Service, E&Ps, Sand and Logistics Companies. Last Mile is the most crucial part of the operation where our timing, experience, and know-how come together to enhance the output of your operation, delivering more profitable Last Mile Solutions. We offer you a dependable and fast delivery.